Hiking trip high mountain in Bulgaria. 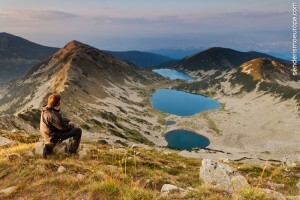 High mountain hiking in Bulgaria. 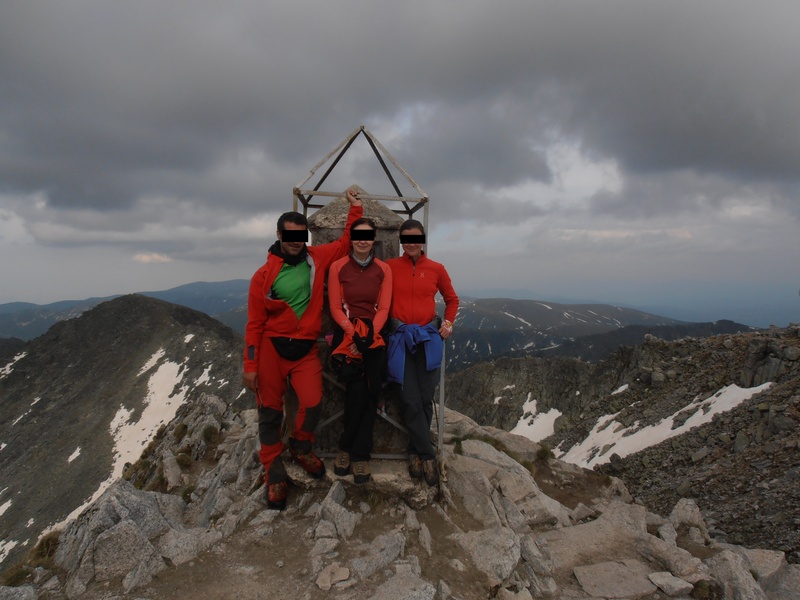 Travel of 10 days of high mountain hiking in the National Parks Pirin and Rila, although the day 1 and he 10 They are transition. Longest Day: the day 2 with a path 10 hours, inclusive breaks. The rest are between 3 Y 7 Daily hours. moderate difficulty but be physically fit for walking. 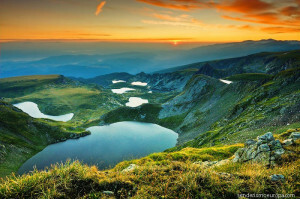 National Park Rila: It is one of the few regions in Europe, where the influence of man on the environment still does not feel much and where you can go for days without finding anyone to disturb your personal experience. 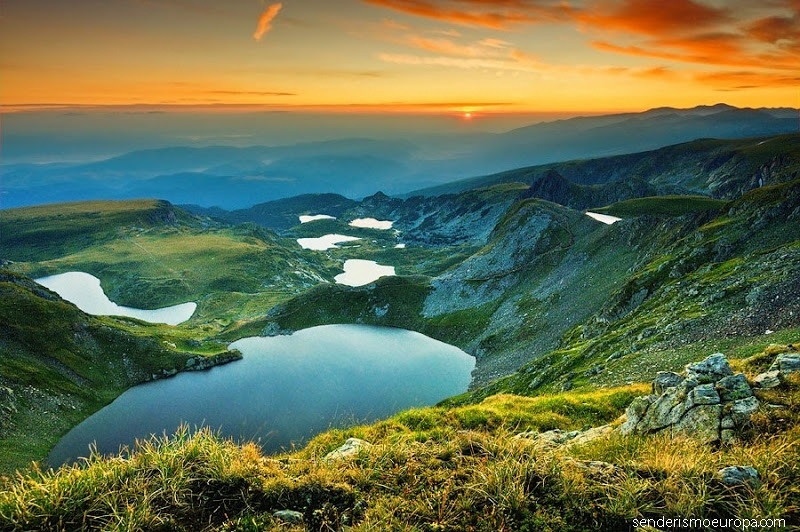 Here we will explore some of the highest places in the Balkans: pico Musala (2.925 meters) fantastic landscapes and know as the Seven Rila Lakes or a beautiful waterfall 82 meters high. 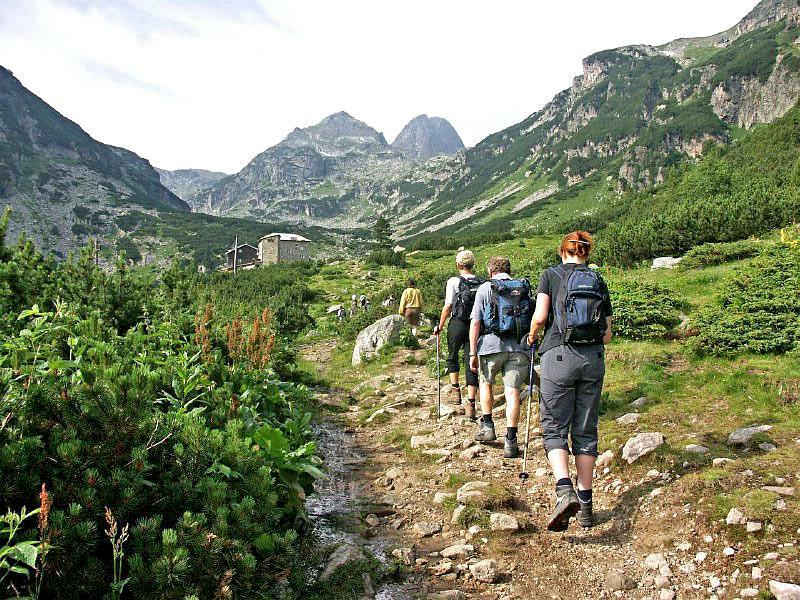 Pirin National Park: Mountains Alpine character with fantastic landscapes of spruce forests, glacial lakes and rocky peaks. 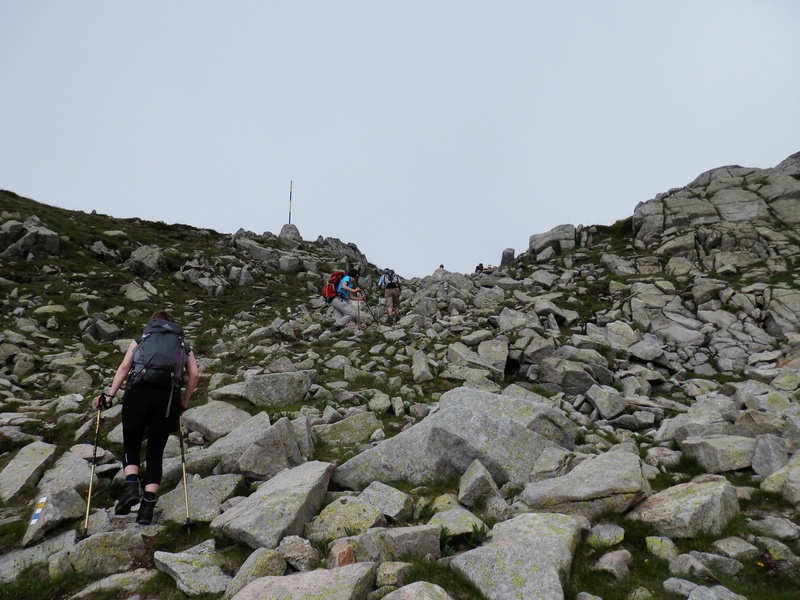 Here we climb to the peak Vihren (2.915 meters). Nature lovers will enjoy the numerous wild animals and plants (very, lobo, owl, wild goat, an extremely rare tree: Pinus Leukodermis, endemic to these mountains. 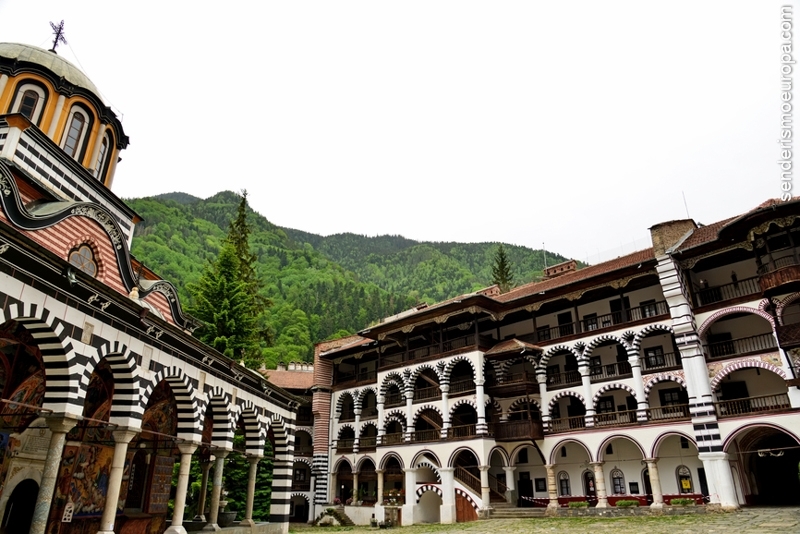 Rila Monastery-Museum: It is the star of the Orthodox monasteries in Bulgaria. For several centuries kept the Christian spirit in the lands conquered by the Ottoman Turkish Empire. 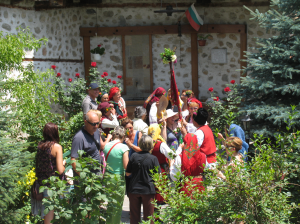 The place most appreciated and respected by the Bulgarian is an extraordinary example of architecture, Bulgarian medieval culture and traditions. Flight hometown – Sofia. Transfer and accommodation in hotel ****. Price. Brief presentation of the program and guides. Accommodation: hotel 4****. Shuttle bus to Panichishte region (Rila mountain) 100 Km. Hiking to the shelter of Skakavitsa (zone Rila Lakes) famous for its alpine waterfall. 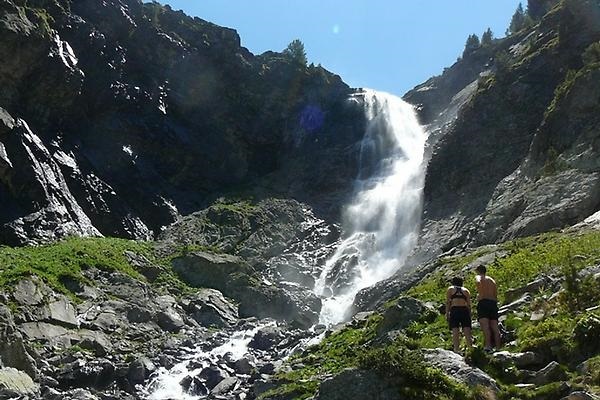 The Skakavitsa waterfall is one of the highest in the country with their 82 m altitude. Waterfall Business. Lunch – picnic. We follow the trail to the lodge "Skakavitsa". 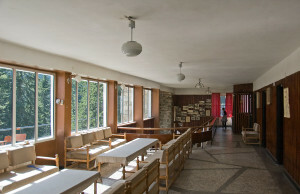 Accommodation at the hostel that offers 89 Beds, shared bathrooms and heating. Dinner at the hostel lounge. 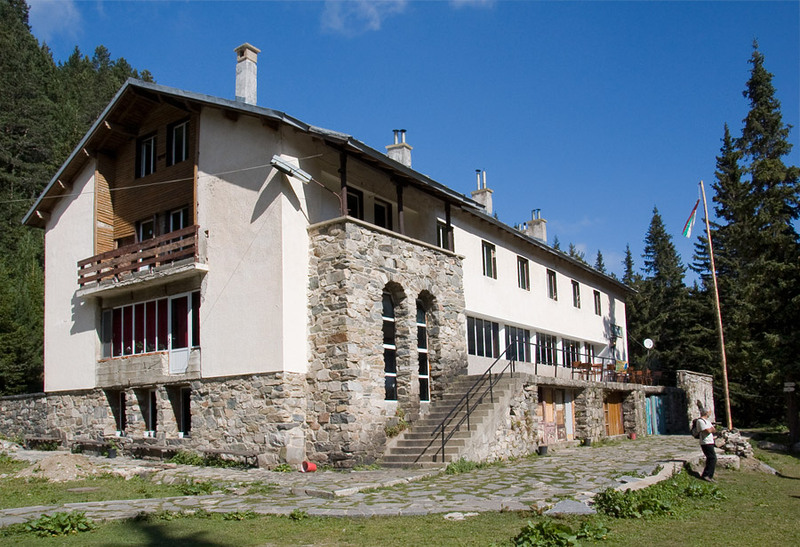 The "Skakavitsa" lodge is built in the area of ​​the Seven Rila Lakes which is famous for its strong energy emanation; It is visited by followers of various mystical doctrines. Positive slope: ca.. 250 m; duration: 2 – 3 hours. 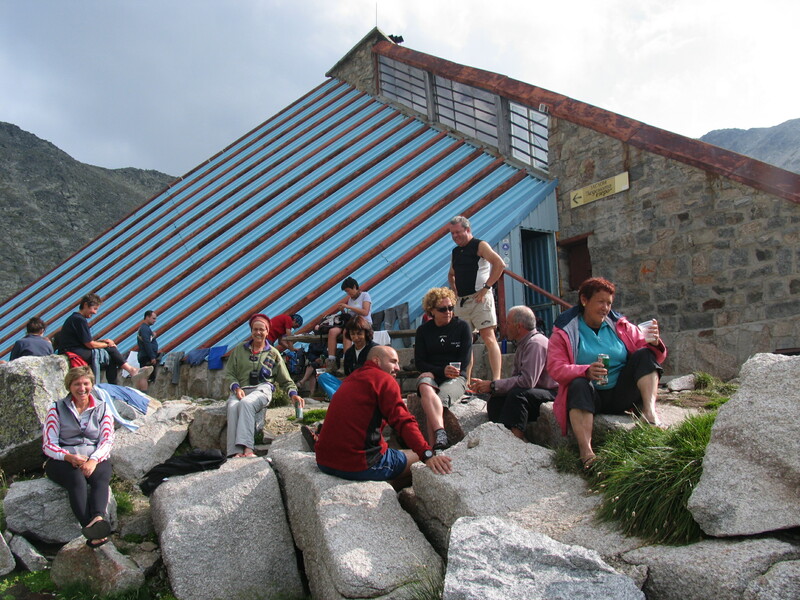 The hostel is 1,900 meters above sea level, the place is not accessible for cars and buses. Travelers will have to wear underwear for the night in the hostel. Description: This day will be great to start the walk, The trek is not long, elapses between beautiful forests in a National Park. It is also the time when paternity meets Blanca. White Fatherhood brings followers of the mystic prophet Petar Danov, one of whose followers is the famous designer Paco Raban. Breakfast. 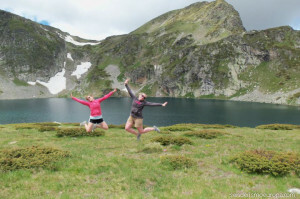 The walk begins with an impressive tour of some of the most beautiful glacial lakes in Bulgaria. One of them is the lake "Babreca" ("The Kidney"), kidney shaped, It is the largest of the Seven Rila Lakes. 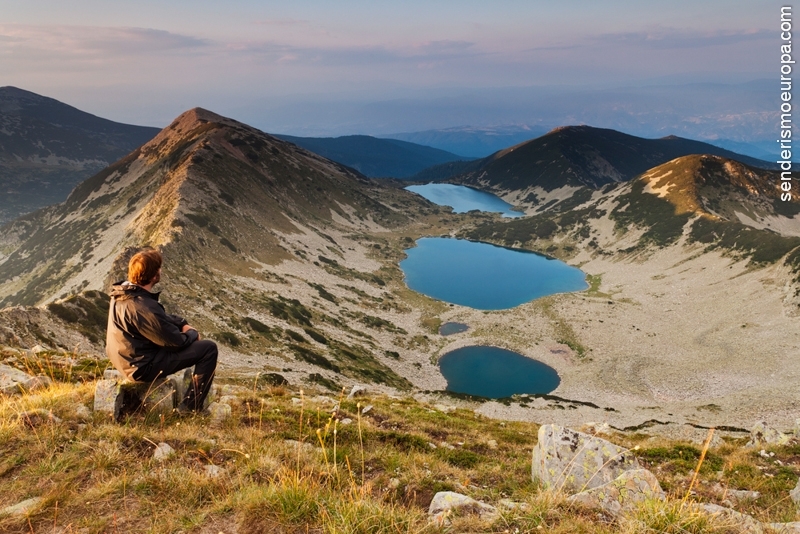 We continue towards the peak "Ezerni" from where you have an overview of the seven lakes. 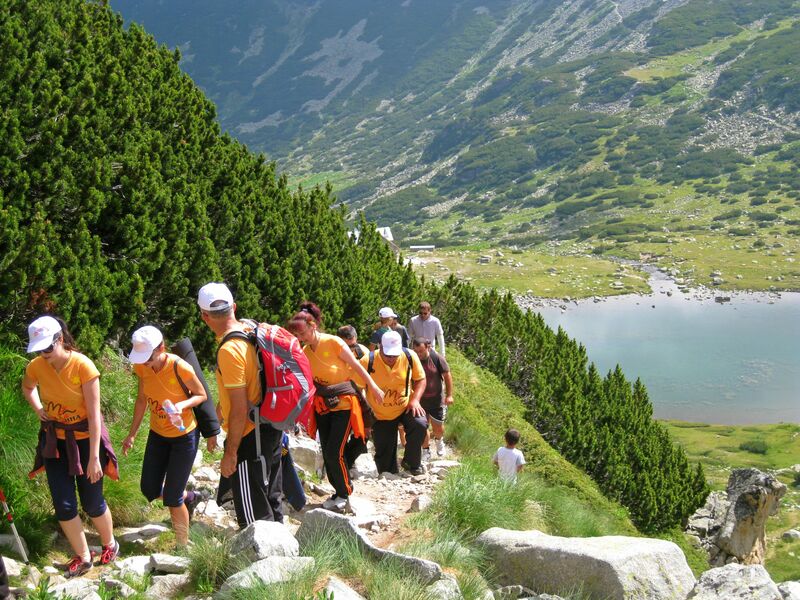 Then the trail runs along the crest of the mountain to the peak of Malyovitsa (2729 m). Descent to the alpine center Malyovitsa. Lunch - picnic. Hotel accommodation **. Price. 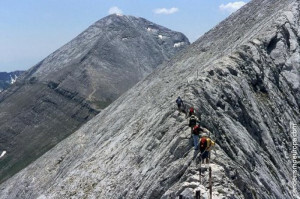 Malyovitsa area is famous for its climbing routes. It is an important center for fans of trekking and adventure. 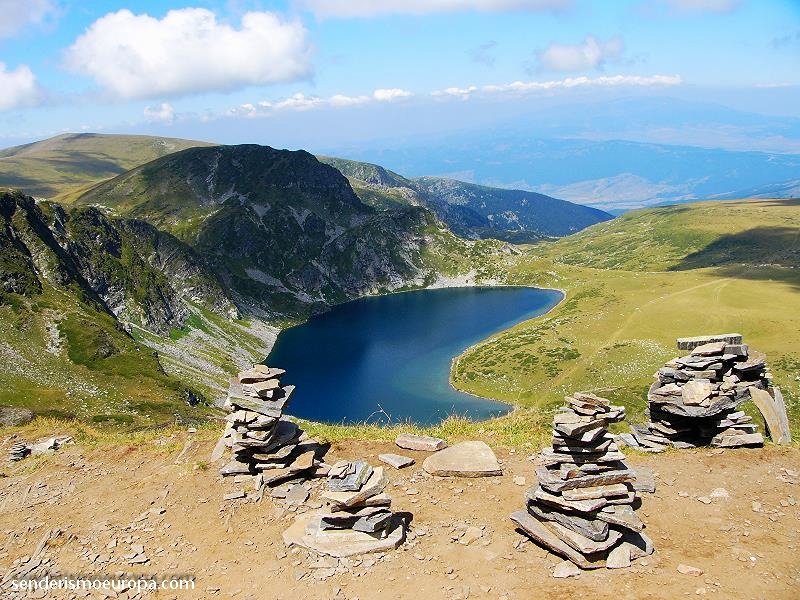 Description: A day of beautiful landscapes, crossing the most emblematic areas of the Bulgarian mountaineering. Accumulated positive slope: ca.. 1300 m, negative cumulative gap: ca.. 1400 m, duration: ca.. inclusive breaks: 10 hours. Breakfast. Shuttle bus to the ski resort of Borovets 50 min. Day dedicated to the ascent of Mount Musala (2.925 m). The trail begins between huge pine forest, through the hostel Musala off in the high alpine area. It ends in the refuge "Ledeno ezero". Here are several options depending on each as you feel, climbing the peak of Musala, 40 minutes and return to the refuge or rest quietly in the shelter. Lunch - picnic. Accommodation – haven “Everest” en "Ledeno ezero" (2.700 m). The shelter has a room with 30 Beds. They also prepare dinner and breakfast very good quality. The shelter "Everest” and "Musala" hostel are inaccessible area for vehicles. Travelers will have to wear underwear for the night. It is also advisable to carry sheet bag. Musala Peak to Peak 2.925 meters. Breakfast. Those who refused to rest the previous day, Musala peak rise a second time. Our route follows the highest peak of the Rila mountain and head south down the south face to the recreation center Treshtenik (1.600 m). Transfer to the city of Bansko 50 Km. Lunch - picnic. Dinner at traditional tavern calls “Generating” with live music folklore. 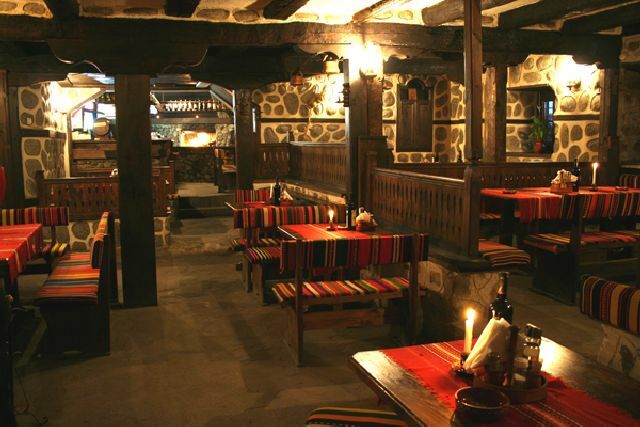 The town of Bansko has 6.000 inhabitants and over 140 mejanas (restaurants / taverns typical of the area) offering an unforgettable cuisine and extraordinary music. Walk quietly through the streets of the old town to disconnect everything and is a trip back in time to discover the village life makes 200 years. Description: Magnifica cruise up and down several peaks. Thus get very close to the town of Bansko - the starting point for the ascent of the peak Vihren. Positive slope: 250 meters, negative slope: 1.400 meters, duration 6 – 7 hours. 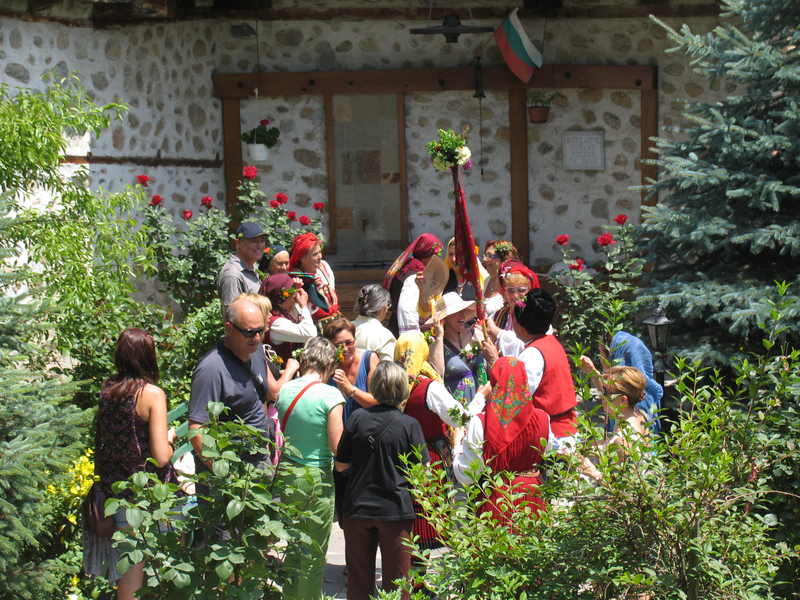 The local folk group to represent our group several songs, traditions and typical regional foods. We had lunch in the garden of a local house, where the owners prepare food with vegetables from your own garden. 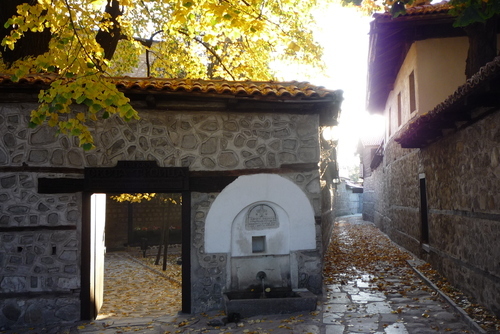 Back to Bansko, Free time for walks, home visits - museum of the old neighborhood, etc. Price. 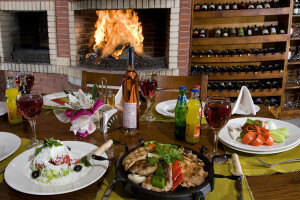 With the expert opinion of our guides travelers can choose where they want to dine mejana, with or without live music. Description: The hospitality of the local people, and the representation of different traditions, songs and foods made from whole heart is a true spectacle that will remain in your memory as an unforgettable experience. Breakfast. Short bus transfer to the hostel Vihren (20km). Ascent of Mount Vihren (2,914 m). 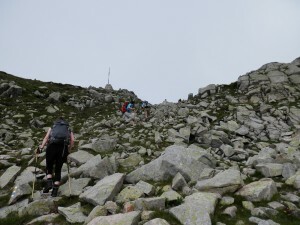 Depending on the weather conditions and the group can choose several ways to climb the peak. Back to Bansko. Lunch - picnic. Cena en Bansko. 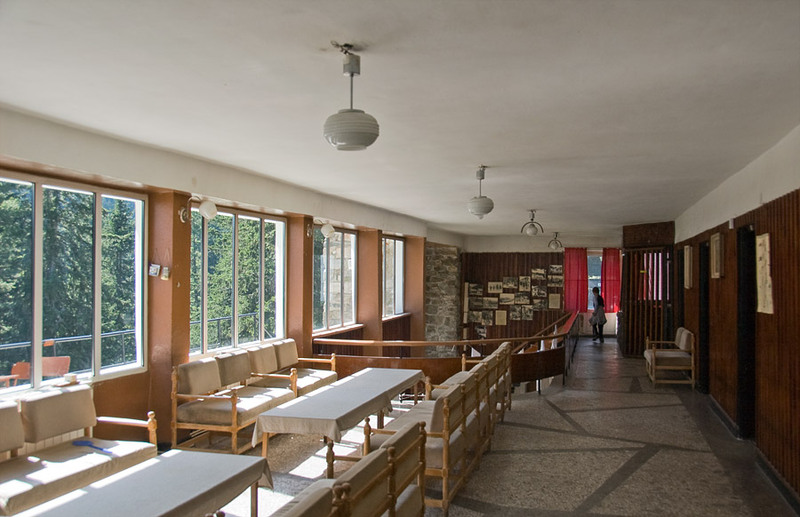 Accommodation: in the same hotel in Bansko. Description: A day dedicated to rising highest mountain Pirin mountain and second in height in Bulgaria. Our path will cross the protected area of ​​Northern Pirin, where we find "Baikusheva Mura": famous ancient tree with approx 1.300 year old (Pinus heldreichii), one of the oldest trees in the world. Positive slope: 964 m, duration: 6-7 hours. Breakfast. Transfer to the hostel Vihren. Climb to "Banderishca porta" 2.500 m. Descent to the summer resort “Restaurant Laca” a 1.300 m. Transfer to the town of Melnik (40 Km.). 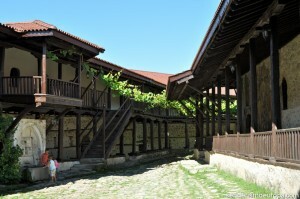 The city is situated in a region famous for the production of red wine. 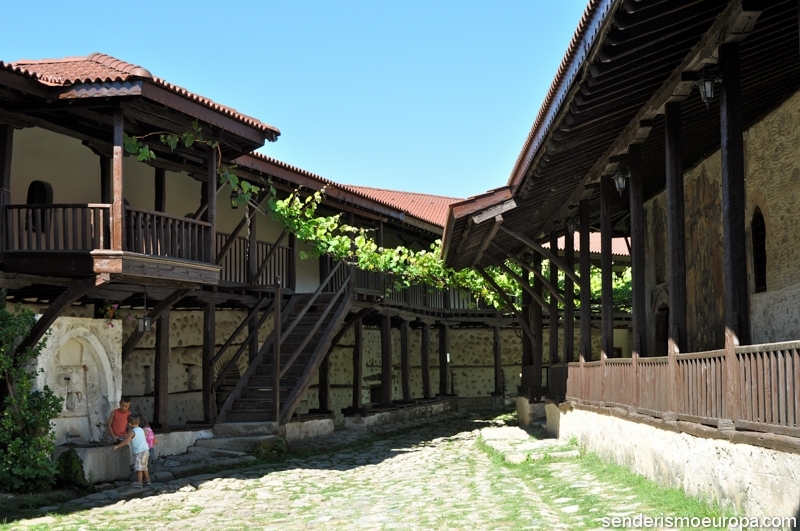 Melnik is the smallest town in Bulgaria. It was proclaimed a city-museum and protected area. The good red wine, traditional houses and natural sand pyramids make up the extraordinary atmosphere of this true open-air museum. Melnik, with natural sand pyramids in the background. Description: Another nice trip passing the south side of the massif of Pirin. After the last day of hard trekking, the town of Sandanski, way to the town of Melnik, It offers pools with thermal waters to relax and recharge. Positive slope: 550 meters, negative slope: 1.200 meters, duration: 6 – 7 hours. Breakfast. Hiking among sand pyramids of Melnik region, way to the Rozhen Monastery. Duration of the trek 2 hours. Visit Rozhen Monastery. Optional: marc tasting local wine in the monastery of Rozhen. 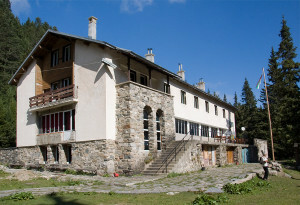 Transfer to Rila Monastery (120 km). 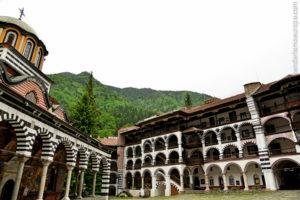 Visit Rila Monastery, the architectural jewel of Bulgaria, learn more here. Lunch on the road to Sofia. Hotel accommodation 4**** Sofia. Price. Description: The last trekking is very soft and is perfect for lounging. This day is dedicated to culture, monasteries and wine , ideal place to end the trip. 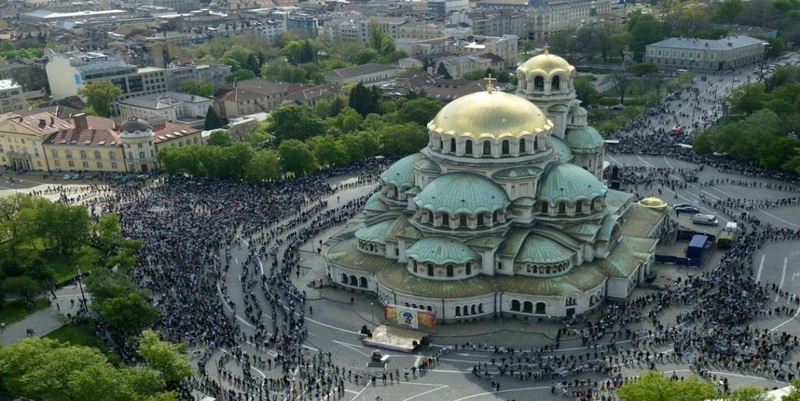 Free time for visits or last-minute shopping in Sofia if the flight schedule permits. Airport transfers. Farewell. Return to Spain. 960 € / per person minimum group 6 participants (plus 1 Mountain guide). 740 € / per person minimum group 10 participants (plus 1 Mountain guide). 720 € / per person minimum group 15 participants (plus 2 mountain guides). 640 € / per person minimum group 20 participants (plus 2 mountain guides). Reserve your seats with a sign 180,00 € (It will be deducted from the total price at the time of final payment). *Breakfasts usually consist of tea or coffee, ham or salami, sweet, Toast, butter, cheese, Fresh fruits. In places where it is possible to have breakfast with traditional dishes from Bulgaria. * Dinners take place in hotels or accommodation in cities and towns where hotels are. Containing soup or salad, verduras o entremés, main course with meat, fish or vegetarian, dessert (cream, cake, fruit, frozen). Beverages: alcohol, soft drinks and mineral water are not included in the price. Vegetarians: We insist that we are informed of anticipated participants vegetarians. Entries Museums, iglesias, fortresses and monasteries are not included in the price. Buying gifts or souvenirs is possible in cities, monasteries and villages by the traveler. All transfers are made by minibus or minivan. 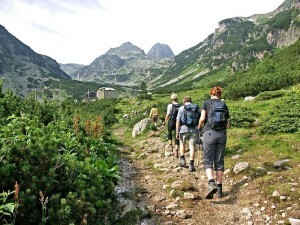 The full itinerary contains 7 days trekking, from 2 a 10 hours a day. The routes follow marked trails. Hiking requires physical preparation normal. Travel bag, Savannah bag, small backpack 30 l, mountain boots or shoes, cotton shirts, jacket type Gore – tex, pants mountain, forro polar, Sunglasses, multipurpose knife. The water in the country is generally very good to drink, but if anyone wants to purify, You should take special pills. The full list for the personal equipment will be sent after booking the trip, however the above provisions containing the most important objects. It is a recommendation but every traveler is responsible for equipment personal appropriate based on their experience and preferences. • Reception at Sofia airport on arrival. • Service local mountain guide titled and Spanish-speaking throughout the program. • Transfers as per itinerary in air-conditioned car with driver throughout the program. • fuel costs, parking and tolls. • Accommodation in double use, except shelter / hostel shared room. • Breakfast, food and dinner (except dinner on 6 Y 9), excluding drinks. • Transfer to Sofia airport on day of departure. • Entrance fees to the places to visit Monasteries, museums, or chairlifts or gondolas entries. • Footwear and sportswear staff for activities. • The optional excursions not reflected in the itinerary. • Tips and personal expenses. • The beverages of all kinds.